​​Cubs fans will be surprised to see such a big name not on the major league roster come Opening Day, but that's the case with former star prospect ​Ian Happ. Happ's had a dreadful Spring Training, at one time batting just over .100 with a .303 OPS. Because of this, the unthinkable has occurred, and Happ is being sent to Triple-A to start the season. Happ is notoriously streaky, and some time in the minor leagues ought to do him some good as he tries to find his swing. At this juncture, the mental fatigue of such a pronounced slump is starting to take its toll on Happ. 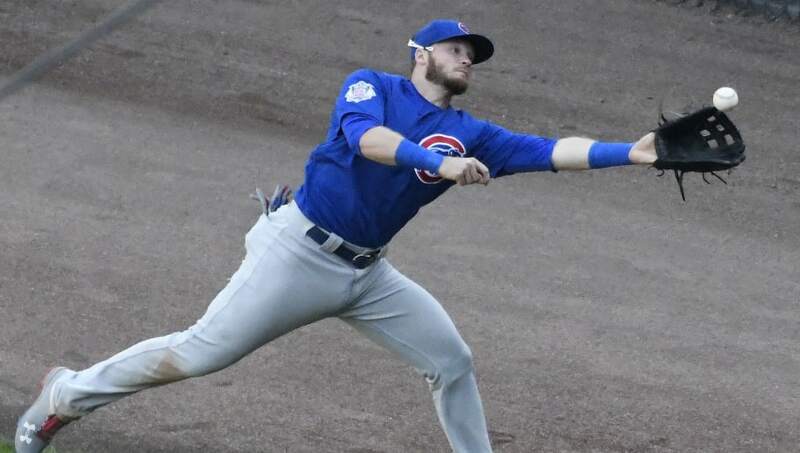 Albert Almora Jr. and Mark Zagunis threatened Happ for playing time all Spring, and while its unknown at this juncture who will take his place on the roster, it speaks to the Cubs' depth that they can afford to have a player of Happ's stature in the minors at all. David Bote has also played well during Happ's struggles, meaning there really isn't room for the switch-hitter in Chicago right now. Happ hit .233 in 387 at-bats last season.